Swedish fashion retailer, Hennes & Mauritz (H&M) will add eight more stores to its network over the next six months focusing on tier II cities. The company would add 1.60 lakh square feet of retail space by the end of 2017, totalling 6.50 lakh square feet within two years of starting its operation in India. The addition of new stores would take its count to 24. Besides, it has also plans to go online in the Indian market from 2018. Janne Einola, Country Manager, H&M India, told PTI, "This autumn, H&M will have 8 more stores across Mumbai, Bangalore, Delhi NCR as well as Indore, Coimbatore and Amritsar. Adding a total of 160000 square feet of retail space." He said, "We do see India as an important part of our global expansion; we aim to grow with our business concept of Fashion and Quality at the Best price in a sustainable way." The Swedish firm said that to start online sales from 2018 is a move to tap the growing e-commerce segment. 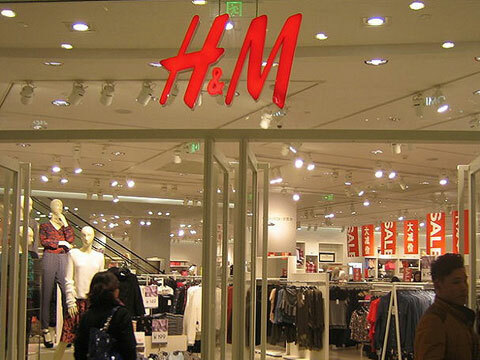 The company had said in the report, "India will be a new H&M online market in 2018. Additional new online markets will open in 2018." Einola said, "H&M is especially excited to expand its reach in India, a market that poses tremendous potential both in Tier I & Tier II cities and now online." In the first half of 2017, H&M rolled out six new online markets, namely, Turkey, Taiwan, Hong Kong, Macao, Singapore and Malaysia and has plans to add Philippines and Cyprus later in 2017.